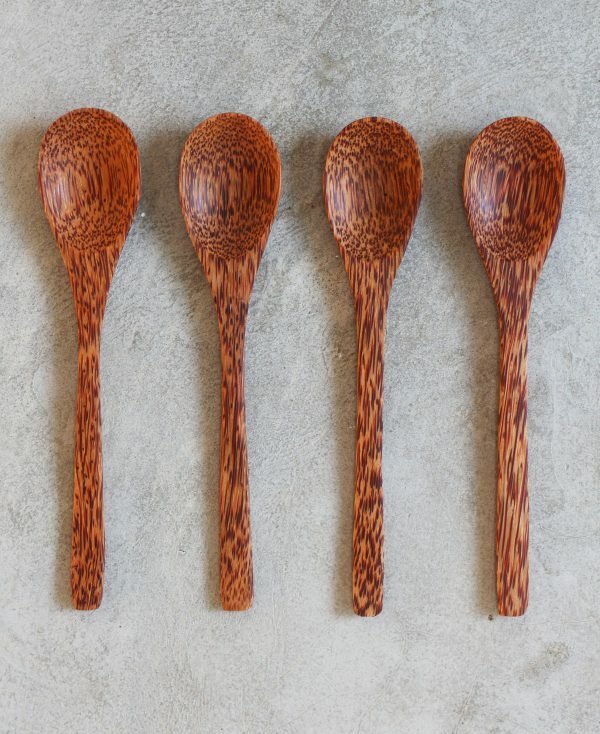 Our coconut spoons are made of coconut palm wood. They are handmade and refined with organic coconut oil. Coconut Spoons are very sustainable and unique in their colours and patterns. EU Shipping only 7,50€ ! 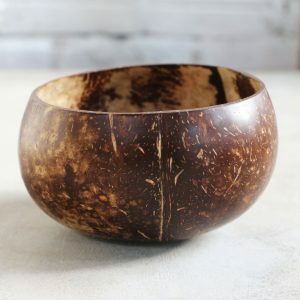 The wood of the coconut palm is a sustainable alternative to other types of wood, as only dead wood from palm trees is being used. This creates space for new palm trees, where fresh coconuts can be produced again. Another advantage of coconut palm wood is that it is very stable – comparable to the hardness of mahogany wood. The coconut wood spoons are also perfect for spooning up delicious smoothie bowls from your coconut bowl and bring a tropical flair to your home! All prices incl. the legal VAT.